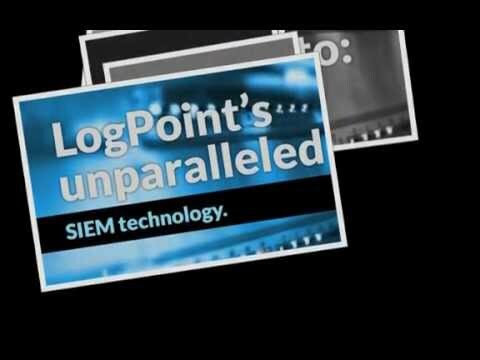 Logpoint is an advanced Security Information and Event Management (SIEM) platform with infinite application & integration possibilities.LogPoint enables the correlation of events and reporting on critical business operation in real-time, allowing enterprises to gather insight and understand the context of the billions of events generated daily by both core business applications as well as the infrastructure supporting and enabling the business.LogPoint provides a rich analysis platform and out-of-the-box dashboarding and reporting for infrastructure and critical business applications, enabling effective management and measurements of the enterprise security. LogPoint adapts to stay in sync with client needs – from surpassing compliance demands, to seamlessly defending against cybercrime and fraud. LogPoint technology is designed to transform big data into an effortless package. LogPoint doesn't deliver standard results, it is simply delivering what you need, doing the work so you can get the job done. 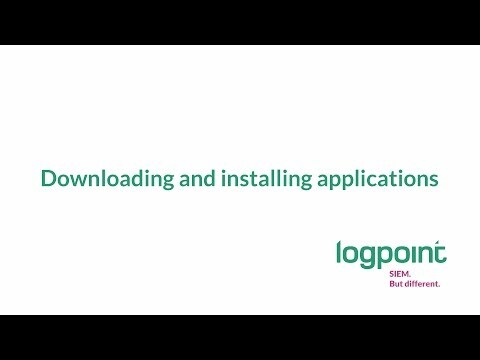 LogPoint presentation. SIEM made easy. It has never been more lucrative or attractive for abusers to target enterprises than it is now. LogPoint employs proactive monitoring, rapid trouble-shooting, advanced correlation and searches to overlook your enterprise’s security posture. Across the board, all sectors are experiencing the same shifts, such as increased data-sharing from any location or device including mobile phones. Further, the diversity and accessibility of digital and new media is placing data and other resources at more risk for compromise. LogPoint not only has the ability to handle the mass of Big Data, it can also be leveraged to the diverse infrastructures of any organization. With the emergence of e.g. Advanced Persistent Threats (APT), the cost of compromise is increasing at a higher rate than many organizations are aware. By definition, detecting APTs before a complete compromise is notoriously difficult. LogPoint offers organizations a qualified toolset that can actually identify APTs. LogPoint employs agents on ERP, database, and HR systems – gathering data from network and security devices, servers, and applications, thus bridging the gap between business applications and IT infrastructure and detecting even the most complex threats. While information security is a complicated task, your ability to receive and analyze activities should be seamless and simple. 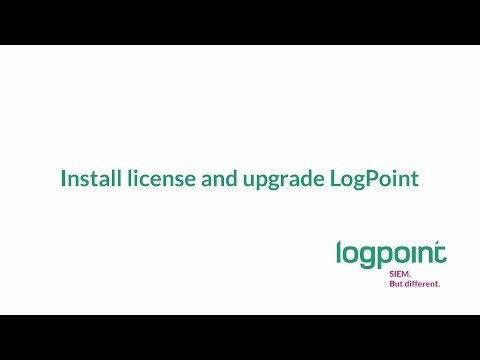 To ensure this, LogPoint generates detailed but concise statistics and alerts, effortlessly produces reports and even offers easily configured dashboards reports providing you with a clear overview of relevant security information. This ensures that malicious or fraudulent activity is not only discovered, but it can be immediately handled – before the damage is done. Obtain the data needed for business-process reengineering. Identify misconfigurations and errors within the infrastructure. 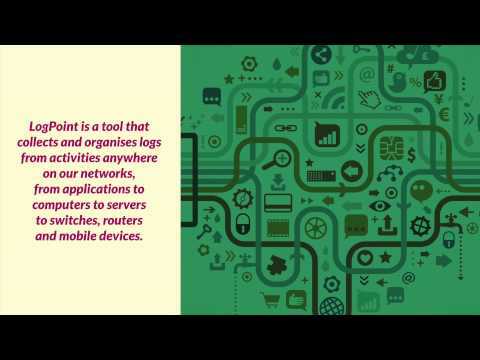 LogPoint keeps complexities low and efficiencies high – while increasing operational insight. Many organizations have processes in place to describe how to manage changes in the infrastructure, including handling problems and incidents, as well as measuring capacity and resources. A change in an enterprise’s IT environment is a complex task involving management suites, security updates, or software/hardware errors, as well as system and business owners. LogPoint’s network and process integration, proactive monitoring and alerting, and tailored reporting can cut through organizational complexities. 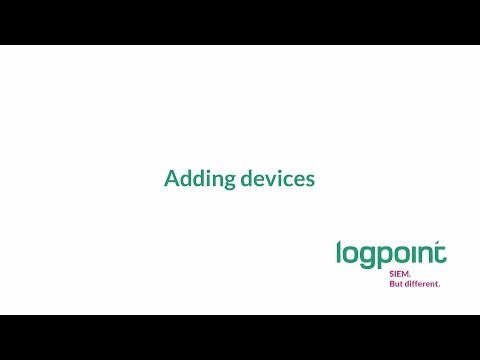 Deploying LogPoint in the network means that devices can send data to the LogPoint system, and actions can then be tracked and compared against registered changes. The same holds true for detecting problems within the infrastructure. By measuring network traffic, LogPoint can pinpoint when service degradation started, comparing this data to intelligence on changes or modifications. Comparing error messages with incidents in the network greatly reduces the time to resolve and root-cause analysis. One of the most common motivators for initiating a SIEM regime is the need to tick all compliance boxes. When the need to meet compliance requires that your organization’s IT team focuses on implementing a SIEM tool, it is clearly crucial that this tool be easy and simple to implement. 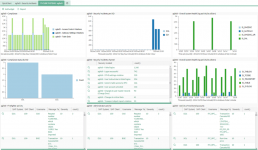 In addition, LogPoint provides a range of more detailed security monitoring reporting elements. LogPoint provides a simple, transparent view into business events. Logpoint provides a complete, transparent overview of the business processes. The analytical engine needed to automatically and manually make sense of an event so that you know exactly who did what, why and when. In terms of reporting, LogPoint offers a catalogue of various building blocks for organisations to choose from according to their individual requirements. The reports have been developed to cover the broadest spectrum of regulatory domains. LogPoint’s flexible architecture and features mean that security resource time can instead be spent on vital daily business operations. LogPoint enables you to analyze your critical production applications for optimal performance and maximum availability. 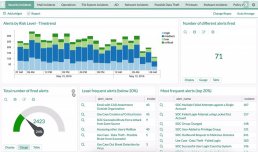 Application monitoring is often forgotten in large enterprises – focus is on servers, firewalls, routers and switches. However, LogPoint allows your applications to be included in the scope of proactive security monitoring and thus, by deploying LogPoint you can make the case for the development of an applications monitoring strategy that is easy to implement and maintain. Often it is difficult for organizations to prioritize application security over revenue-generating development work and frequently security aspects of an application attack are underestimated. LogPoint delivers a trusted security platform to achieve great insights into any operational application environment such as SAP, Oracle, Microsoft and others. The challenges with application security monitoring is the amount of information that must be collected, collated, analyzed, and summarized for management and business stakeholders as well as web application developers. To enable a successful application security strategy, administrators needs visibility into attacks and policies. Understanding what an attack is and how it works is key in order to maximize uptime and performance of the application. By deploying LogPoint the above is all made available in an easy to use package that integrates with the more traditional IT security facets from the IT operation. LogPoint even correlates data from both logs and structured data sources e.g. CMDBs, Social Security databases, medical records, financial systems and many more. For most SIEM tools, an organization’s SAP® system is a blind spot. SAP® is extremely complex, making it close to impossible to extract logs. With LogPoint for your organization’s SAP® system, you can achieve full anomaly detection, track critical changes to master data, and view correlations on business violations – out-of-the-box, with easy customization and expansion. LogPoint offers two varieties of SAP® implementation, the Light version that delivers a system log and an audit log, which can be directly utilized to demonstrate compliance and transparency, reducing costs through complete automation and the Extended version provides you insight beyond what can be derived in the Light version and covers in-depth monitoring of business processes.